Tough times for Jaguar, with slow-selling saloons and the Castle Bromwich plant on a three-day week before Christmas. Could the answer lie in battery power? The polarising XJ luxury saloon is due for replacement in 2019 and CAR’s moles suggest its successor will be a pure electric car. 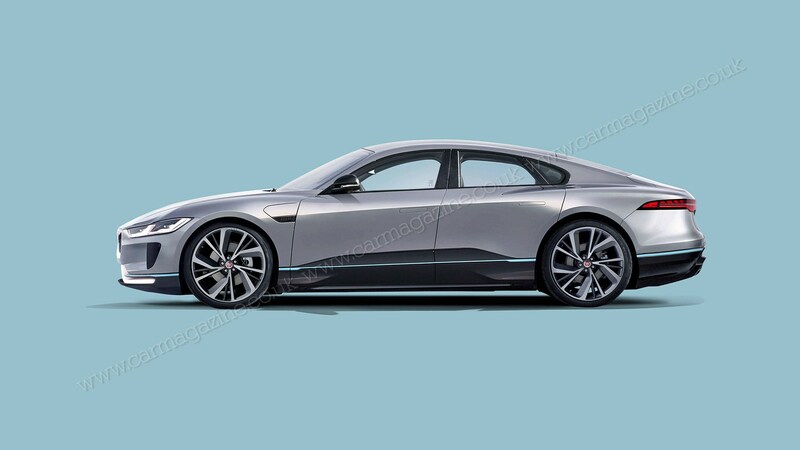 Traditionally the XJ has battled the likes of the Mercedes S-Class and Audi A8, but its successor must move its cross-hairs towards Porsche’s Taycan, Audi’s e-Tron GT and, in particular, Tesla’s now-venerable but highly successful Model S.
A sleek luxury saloon (configured as a five-door liftback, in truth), the electric XJ successor may adopt similar motors and control electronics to the existing i-Pace electric SUV, but not its bespoke architecture. Rumours suggest the XJ will be the first car built using Jaguar Land Rover’s new MLA platform, which will underpin the future Jaguar J-Pace big SUV and next-gen Range Rovers. While the ‘e-XJ’ would naturally be a pure EV, the platform has provision for V6 and V8s too. The all-wheel-drive XJ is driven by four electric motors, fed by a floor-mounted battery pack (the i-Pace uses a 90kWh battery, the XJ may upgrade to 100kWh). Each motor could summon as much as 200bhp, meaning the e-XJ could plant a very big tick next to the pace component of Jag’s famed ‘grace, space and pace’ strapline. But ride quality, refinement and design drama would be prioritised every bit as much as speed. The i-Pace has shown Jaguar’s willingness to be bold with its electric cars, and in that spirit the XJ will abandon its classic three-box saloon roots for a more progressive low-drag shape. The e-XJ will inevitably use the higher price that a luxury EV could command to offset its considerable investment cost. A high-technology, low-volume car, it might not be highly profitable, but its value as a flagship statement car could be huge.